This section acts as a resource channel for tobacco control and health related articles, monitoring reports, various information contributed by other sources and other website links. 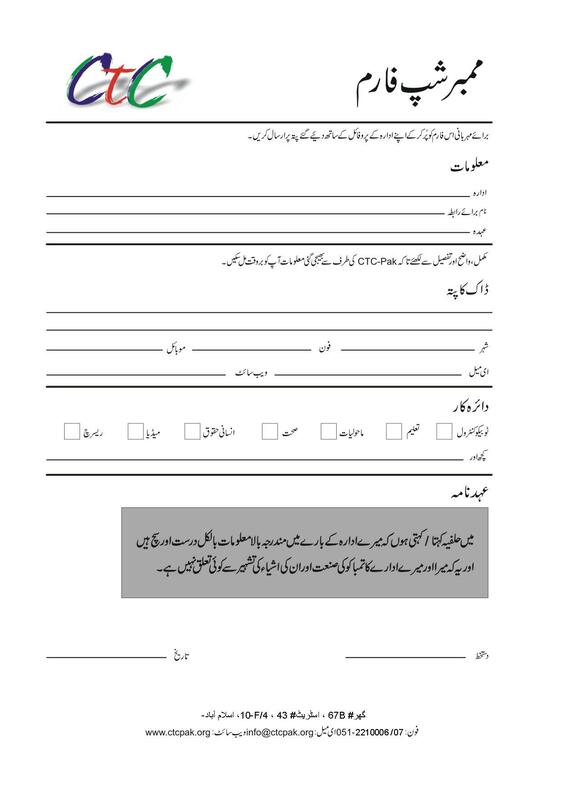 Booklet in public interest on ï¿½Prohibition of Smoking and Protection of Non-Smokers Health Ordinance, 2002 and Printing of Warning Amendment with notificationsï¿½ in English and Urdu languages. World No Tobacco Day is celebrated intending to aware and encourage people to reduce or completely stop the tobacco consumption in any and all forms all across the globe. This dayï¿½s celebration aims to draw public attention globally to spread the messages of harmful effects of tobacco use as well as its complications to others. For World No Tobacco Day 2016, the World Health Organization and the Secretariat of the WHOï¿½s Framework Convention on Tobacco Control are calling on all countries to get ready for plain (standardized) packaging of tobacco products. A brief based on the first national meeting on partners coordination organised by CTC-Pak with its coalition partners as they are working in isolation; the need is for them to have close contacts with each other enhancing their coordination in form of a proper networking to formulate a more target oriented strategy towards effective tobacco control in Pakistan. 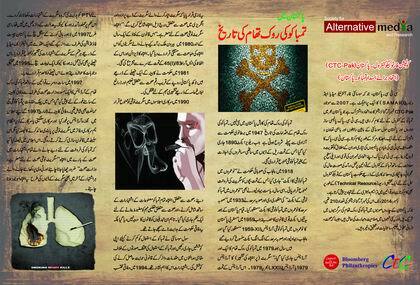 Report based on orientation meeting organised by CTC-Pak with media persons on the issue of tobacco control in Pakistan. 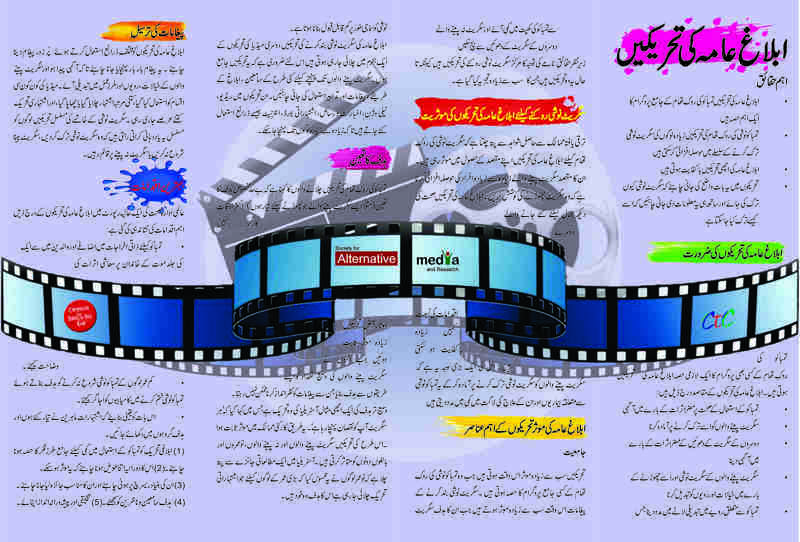 The key issues focused were lack of enough space for tobacco control issues in the media and responsibility of media to raise awareness as a part of holistic approach to its readers. 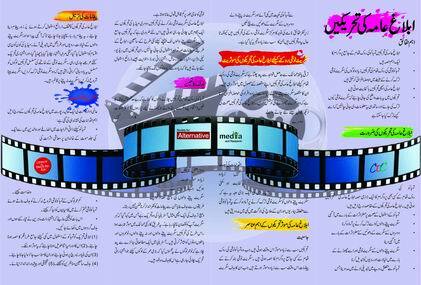 This document is compilation of press items that have appeared in the year 2008. 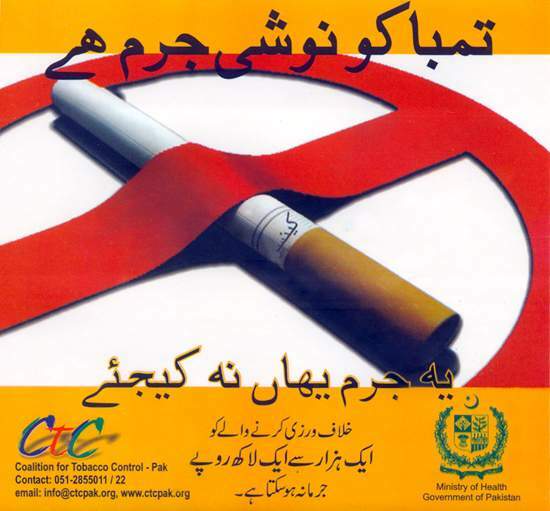 To downloaded by "RIGHT CLICK" on the image below and choose "Save As"
Report based on surveys carried out to monitor the implementation of the Ordinance on Tobacco Control LXXIV (2002) in Pakistan by observing different public places including restaurants, offices, banks, public transport vehicles, commercial areas, cigarette selling outlets and educational institutions. 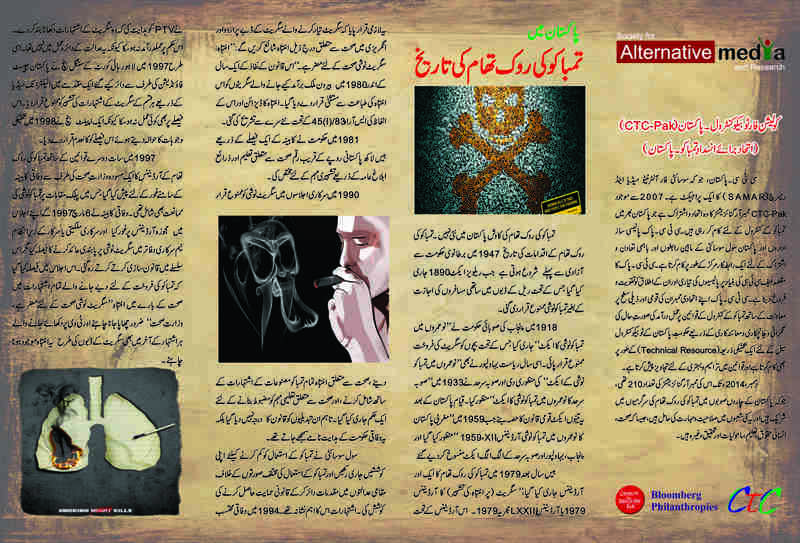 Stickers and booklet in public interest on ï¿½Prohibition of Smoking and Protection of Non-Smokers Health Ordinance, 2002 and Printing of Warning Amendment with notificationsï¿½ in English and Urdu languages. On 1 May 2008, the Global Smokefree Partnership launched its Working for a Smokefree Future Report, to mark this year's International Workers' Day. The theme for the report is Smokefree workplaces. This is the first report to detail the benefits of Smokefree workplaces on workers and employers. The report finds that the only effective protection for workers is 100% Smokefree workplaces. Smokefree workplace policies are popular: they save businesses money, improve worker health, and are easily enforced. report revealing an insidious new generation of tobacco products is threatening efforts to reduce tobacco use in the United States; how tobacco companies take advantage of the lack of government regulation to design and market products that recruit new youth users, create and sustain addiction to nicotine, and discourage users from quitting. Updated country status of the WHO FCTC ratification and accession. There have been few consistent analyses of the gender-specific and diversity-specific effects of tobacco policies, but emerging data indicate that such generic tobacco control measures may not be equally or similarly effective in respect to the two sexes and the various subgroups in a countryï¿½s population. This policy brief is developed by WHO with the support of Research for International Tobacco Control (RITC) elaborating on the deliberations of the WHO/RITC meeting on the development of policy recommendations for gender-responsive tobacco control.